Something to lift your spirits! On Saturday 19th of October, we had the pleasure of celebrating the first official Traditional Mass on the Aberdeen diocese mainland in recent years. 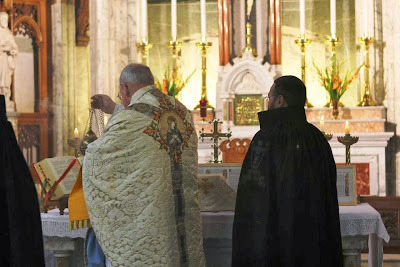 The Mass was celebrated by Very Rev Fr. Michael Mary, F.SS.R. in the chapel of Blairs College (St Mary's College) in Aberdeen. The college was a junior seminary from 1829 to 1986. 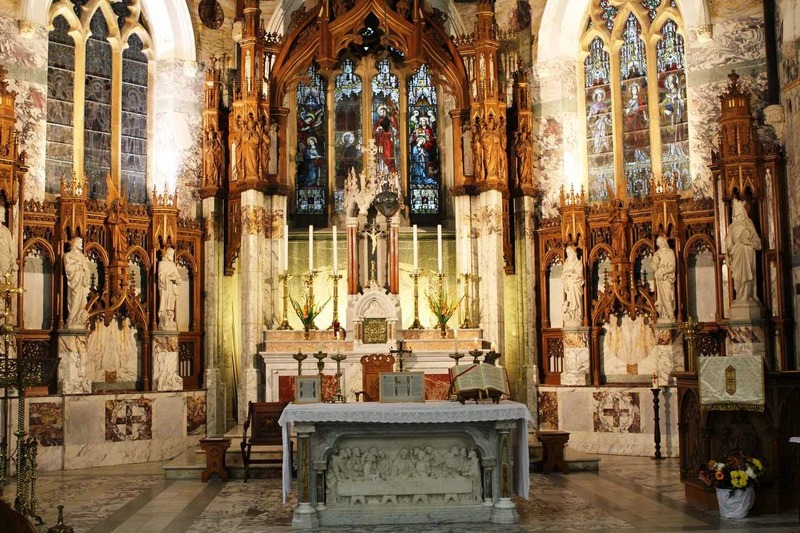 The college chapel is very beautiful and provides a wonderful venue for the Traditional Mass. Fr. Michael Mary sang the Mass, with Brs Jean Marie and Martin Mary serving. 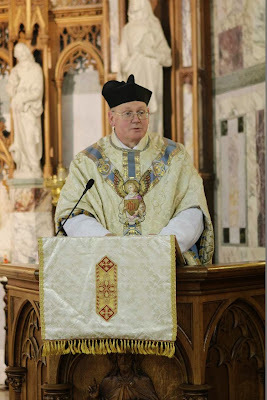 Preaching on the Three Hail Marys. We are happy to announce that the next Mass will be celebrated at Blairs College on Saturday 16th of November, the feast of St Margaret, secondary patron of Scotland. All are most welcome to attend the location can be found here. 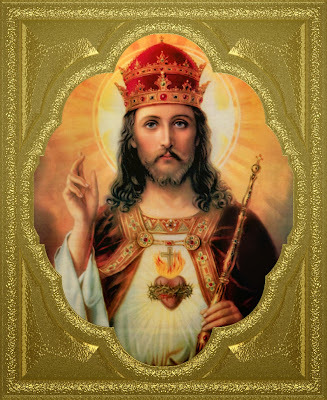 The Feast of Christ the King gives us an occasion to honour Our Lord as Our Sovereign and to consider the aspects and grandeur of His Royalty. 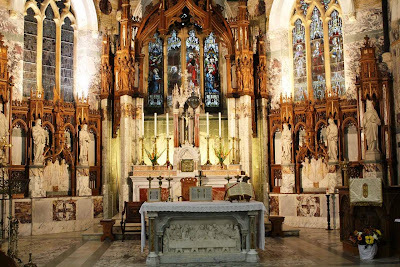 Jesus is often spoken of as ‘King of Love’ and with special reference to His Sacramental presence on our altars. Whosoever would have an audience with the King of kings and the Lord of lords, must simply visit a church in which the Blessed Sacrament is reserved. 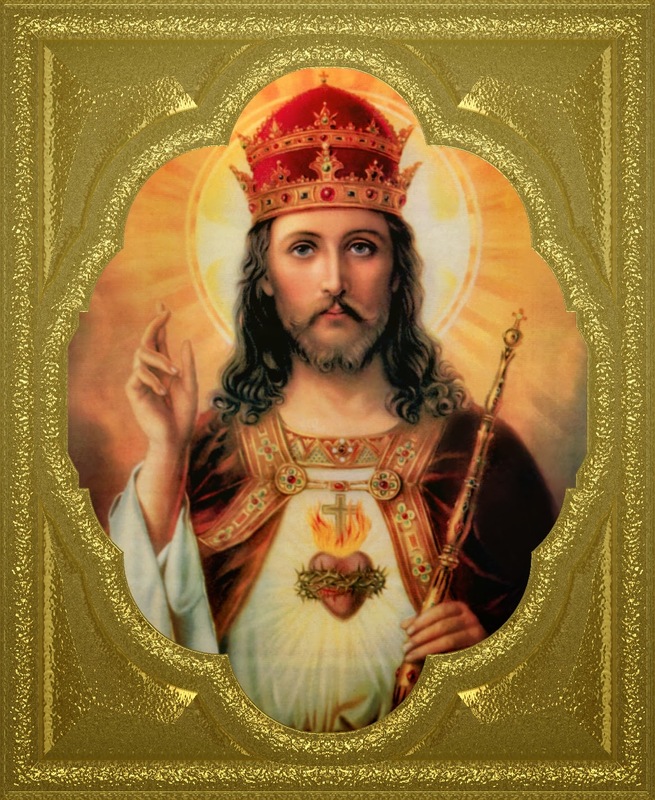 But it is not only from our churches that Christ wishes to reign as King. In giving answer to Pontius Pilot, who inquired of Him concerning His Kingship, Jesus said that His Kingdom was not of this world. No, far from it and indeed He is far above the petty dignities of a merely earthly dominion, to which there is always an end. But Christ’s Kingdom is God’s Kingdom and of this Kingdom there is no end. While Christ’s Kingdom is not earthly, He is nevertheless Ruler of the entire universe. He sits at God’s right hand and all heaven worships Him and all creatures bow to His Name. O glorious King! O happy lot of all who share in His eternal dominion! Considering the purely spiritual aspect of Christ’s Kingdom, we may say that it is located in the souls of the just. The kingdom of God is within us and it is from our minds and hearts that Christ wishes to reign. He is given the chance to do this when we keep His commandments and do the will of His Father. He is King in pure souls, where His grace abounds and they are His most faithful subjects, His dearest children and His closest friends. To honour and imitate the Sacred Heart of Jesus is the best way to honour His Majesty and to prepare the way for His Kingdom within us. We must love God and love our neighbour. Love is learned by loving and if we have charity and peace of conscience, we have God living and reigning within us. ‘If any man shall love Me,’ says the Lord, ‘he will keep My word, and We will come to him and will make Our abode with him.’ John 14. 23. Perhaps many of you have already heard about this, but it has only just come to my attention. 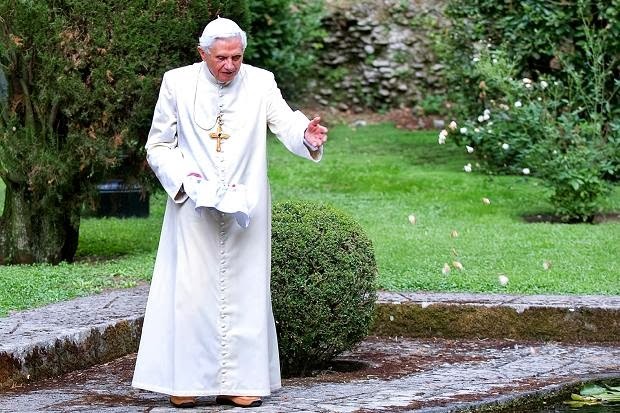 Back on the 24th of September, extracts of a letter from Pope Emeritus Benedict to an Italian atheist mathematician, Piergiorgio Odifreddi, were published in the Italian newspaper, La Republica. The letter was a response to Odifreddi's 2011 book entitled Dear Pope, I am writing you, which was itself a reply to Benedict's book, Introduction to Christianity. It is really wonderful and edifying to read such a clear and precise defence of the Faith against the attacks of of an atheist. What has been published is only extracts of what must be quite a long letter. I would very much like to see the whole thing! Thank you very much to Fr Gashwin Gomes for making this translation and for making it available on HIS BLOG. Respected Professor Odifreddi, (…) I would like to thank you for engaging with my book in such detail, and so also, with my faith; this is precisely what I had intended to do, for the large part, in my discourse to the Roman Curia in the Christmas of 2009. I must also thank you for the fair treatment you have given my text, seeking sincerely to do it justice. Many times it [your text] pointed out to me that theology would be science fiction. In this respect, I marveled that you still considered my book worth of such a detailed discussion. Please permit to propose with respect to such questions, four points. It is correct to affirm that only mathematics is “science” in the narrowest sense of the word; and meanwhile I have learned from you that even here one must distinguish again between arithmetic and geometry. In all specific subjects, in any case, the scientific character [la scientificità] has its own form according to the uniqueness of its object. What is essential is that one applies a verifiable method, excludes arbitrariness, and ensures rationality in each of their different modalities. One should at least acknowledge that in the area of history, as well as that of philosophy, theology has produced lasting results. An important function of theology is that of keeping religion linked to reason, and reason, to religion. Both these functions are of essential importance to humanity. In my dialogue with Habermas, I have shown that there exist pathologies of religion and – not less dangerous – pathologies of reason. 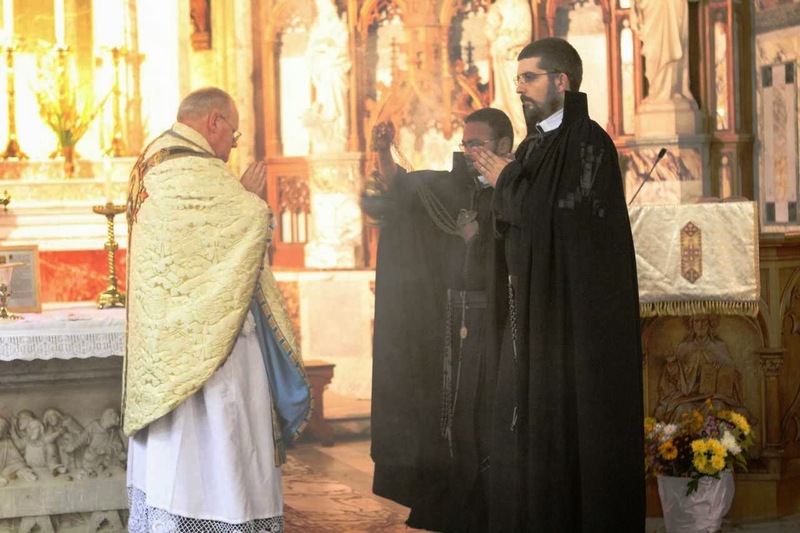 Each has a need of the other, and to keep them continually connected is one of the tasks of theology. In all the subjects we have discussed so far, one is dealing with a serious dialogue, for which I – as I have already said repeatedly – am grateful. Things are different in the chapter about the priesthood and Catholic morality, and even more different in the chapters about Jesus. With respect to what you say about the moral abuse (sic) of minors by priests, I – as you know – take note only with deep concern. I have never tried to conceal these things. That the power of evil penetrates to such an extent in the interior world of faith is for us a suffering which, on one hand, we have to endure, and on the other, we must, at the same time, do everything possible so that cases of this type are not repeated. 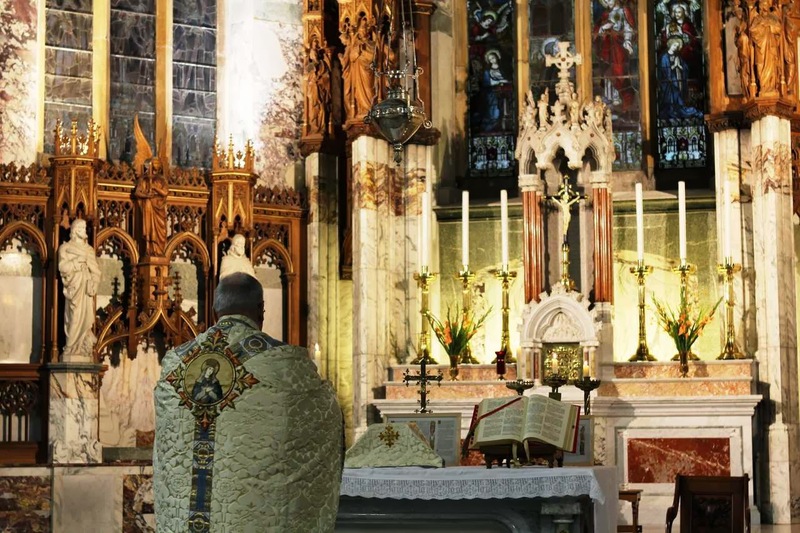 Nor is it at all any source of comfort to know that, according to the research of sociologists, the percentage of priests guilty of these crimes is not higher than those present in other similar professional categories. 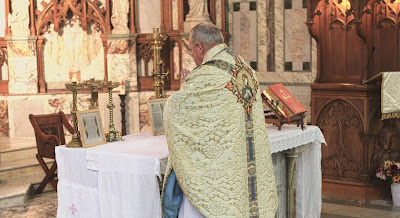 In any case, one must not ostentatiously (sic) present this deviation as if it were a filth specific to Catholicism. What you say about Jesus is not worthy of your rank as a scientist. If you pose the question whether, in the end, we know nothing of Jesus as a historical figure, that there is nothing ascertainable, then I can only invite you to become a little more competent from a historical point of view. I recommend to you for this, above all, the four volumes that Martin Hengel (exegete of the Protestant Theological Faculty of Tübingen) has published with Maria Schwemer: it is an excellent example historic precision and of the widest historical information. In light of this, what you say about Jesus is reckless speech which must not be repeated. That in exegesis there have also been written many things with a lack of seriousness is, of course, incontestable. The American seminary you cite on p. 105 (and ff.) concerning Jesus, only confirms once again what Albert Schweizer had noted with respect to the Leben-Jesu-Forschung (The Quest for the Life of Jesus), and that is that the so-called “Historical Jesus” is no more than a mirror of the ideas of the authors. 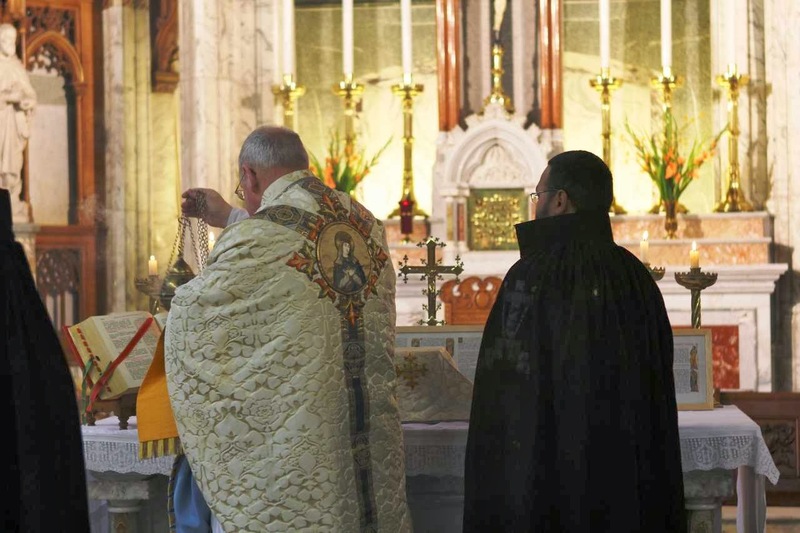 Such forms of botched historical works, however, do not compromise the importance of serious historical research, which has led us to true and reliable knowledge about the proclamation and figure of Jesus. With the 19th chapter of your book, we turn back to the positive aspects of your dialogue with my thinking. (…) Even if your interpretation of John 1:1 is very far from what the evangelist intended to say, there exists, still, a convergence that is important. If you, however, want to replace God with “Nature,” the question remains as to who or what this nature is. Nowhere do you define it, and thus it appears as an irrational deity who explains nothing. I would like, however, to note further that in your religion of mathematics, three fundamental themes of human existence are not considered: freedom, love and evil. I marvel that you, with one nod, liquidate freedom, which has been, and remains, the core value of the modern epoch. Love does not appear in your book, and there is no information concerning evil. Whatever neurobiology might say or not say concerning freedom, in the real drama of our history [storia], it is present as a determining reality and must be taken into consideration. However, your religion of mathematics has no information concerning evil. A religion that omits these fundamental questions, remains empty. Most respected Professor, my critique of your book is, in parts, harsh. But frankness is a part of dialogue; only thus can knowledge grow. You have been very frank, and therefore you will accept that I will also be. In any case, however, I value very much the fact that you, through your engagement with my “Introduction to Christianity,” have sought such an open dialogue with the faith of the Catholic Church and, notwithstanding all the disagreements in the main part, convergences have also not been missing. 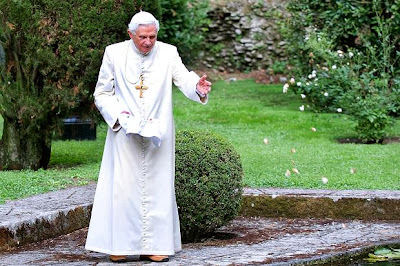 Pope Emeritus Benedict continues to feed the faithful and the stray sheep alike.